While most policymakers and the general public believe that insider trading should be banned, economics professor Jeffery A. Miron shows why straightforward economic reasoning suggests the opposite. Article published by The Atlas Society. 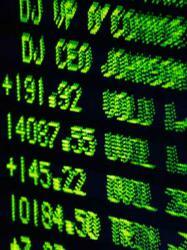 Significant negative consequences result from the ban on insider trading, reveals economics expert Jeffrey A. Miron. "[A] less efficient allocation of the economy’s capital." Rewarding dishonest insiders and putting law-abiding insiders at a "competitive disadvanage." An implicit support of the view "that individuals should buy and sell individual stocks." Miron explains why "virtually everyone should just buy index funds since picking winners and losers mainly eats commissions, adds volatility, and rarely improves the average, risk-adjusted return." Bans make "it harder for the market to learn about incompetence or malfeasance by management." Professor Miron concludes that there is little justification for bans on insider trading. "They attempt to create a level playing field in the stock market, but they do so badly while inhibiting economic efficiency." Online: "An Economic Defense of Insider Trading"
BIO: Jeffrey A. Miron is Senior Lecturer and Director of Undergraduate Studies in the Department of Economics at Harvard University and Senior Fellow at the Cato Institute. Miron is the author of Libertarianism, from A to Z. The Atlas Society(TAS) develops and promotes open Objectivism: the philosophy of reason, individualism, achievement and freedom. Objectivism was founded by Ayn Rand (1905-1982), the author of Atlas Shrugged and The Fountainhead, among other works.As the founders of open Objectivism, TAS believes that the philosophy is a body of knowledge open to expansion and revision, through rational inquiry and open discussion and debate. The organization's publications and programs reach a broad audience ranging from the general public to graduate students in philosophy.TAS is a 501(c)(3) nonprofit organization headquartered in Washington, D.C.